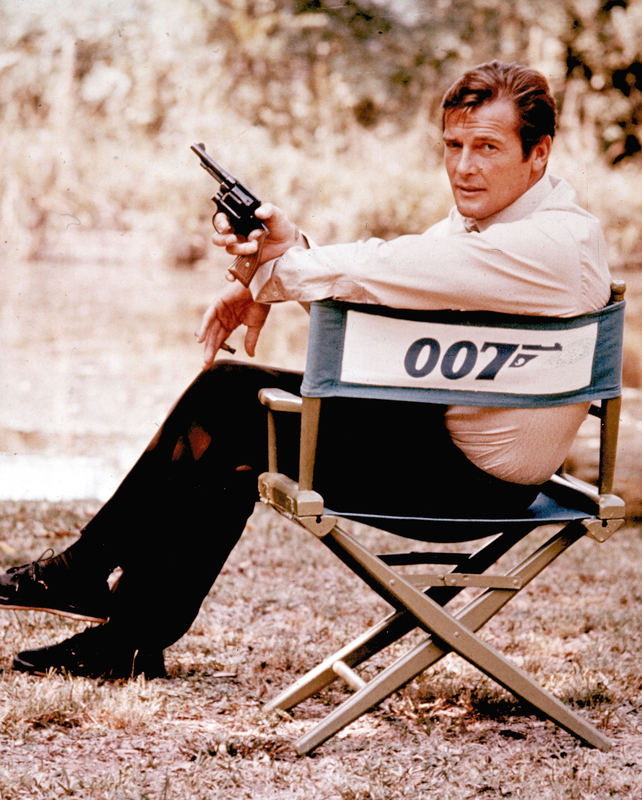 Roger Moore on location in England in 1972. 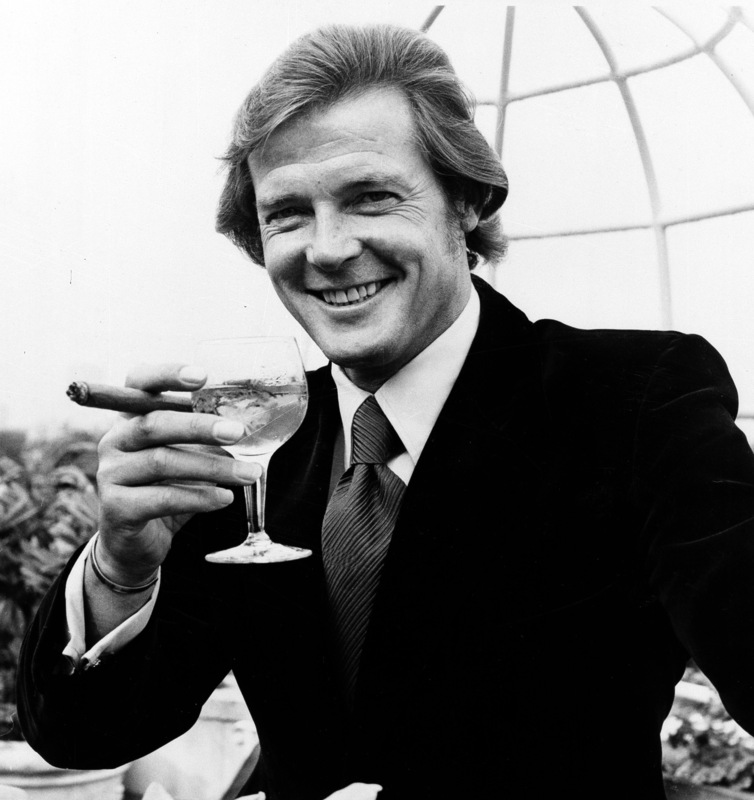 Roger Moore poses with a martini and a big cigar at the Dorchester Hotel in London on Aug. 1, 1972, after the announcement was made that he would play James Bond in "Live and Let Die." 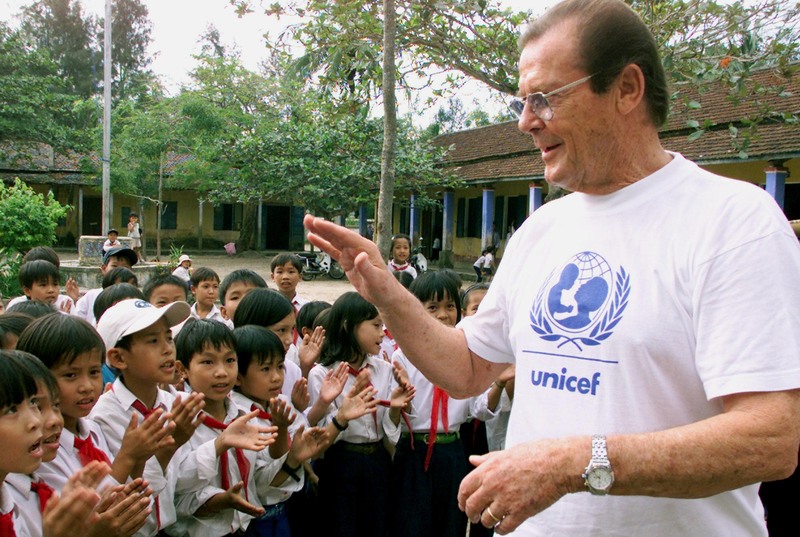 Roger Moore says goodbye to children at Ha Trung primary school near Hue, Vietnam, on Oct. 27, 2003. Moore was in Vietnam as a goodwill ambassador for the United Nations Children's Fund. 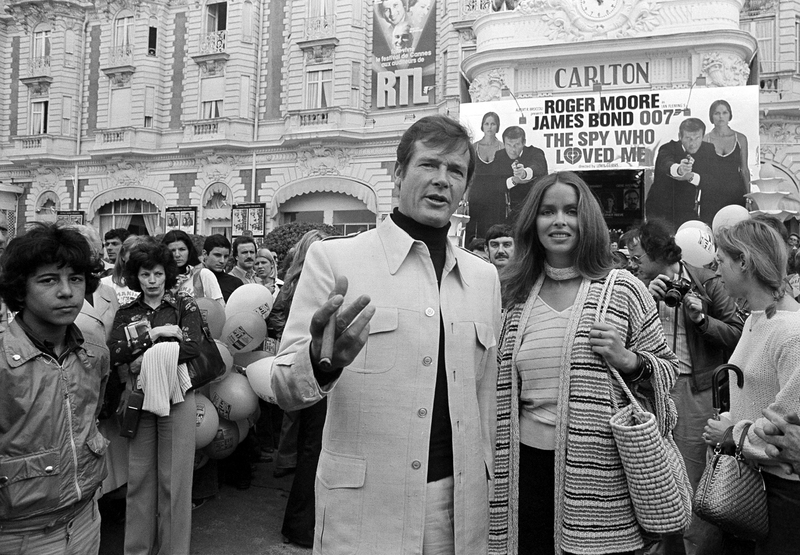 Roger Moore and co-star Barbara Bach arrive for the screening of the James Bond movie "The Spy Who Loved Me" at the Cannes Film Festival on May 20, 1977. 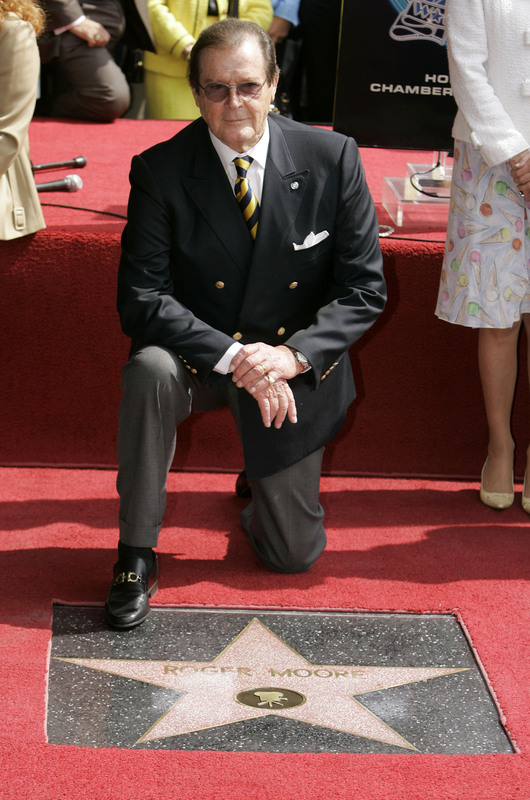 Roger Moore receives his star on the Hollywood Walk of Fame on Oct. 11, 2007. Moore's star is aptly located at 7007 Hollywood Blvd. 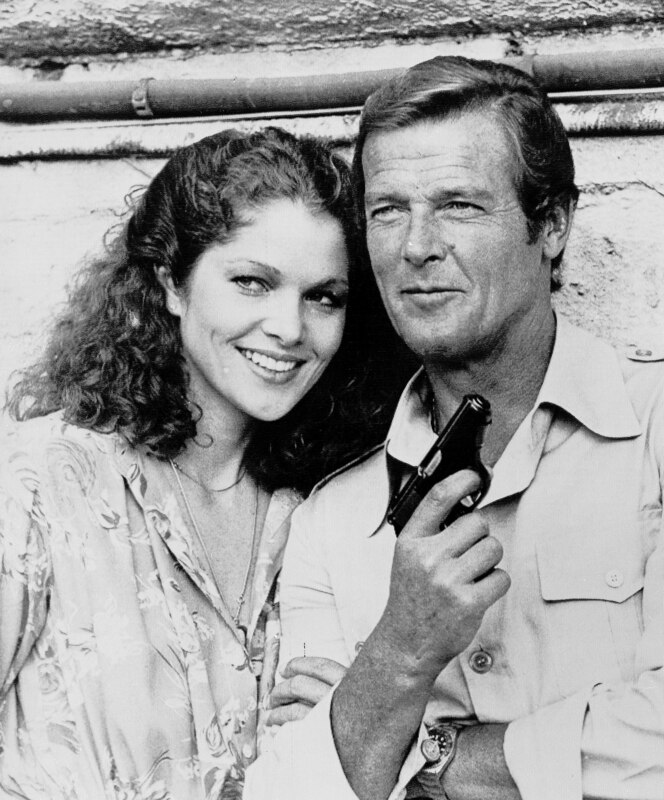 Roger Moore poses with co-star Lois Chiles before the start of the filming for the James Bond movie "Moonraker" on Aug. 8, 1978. 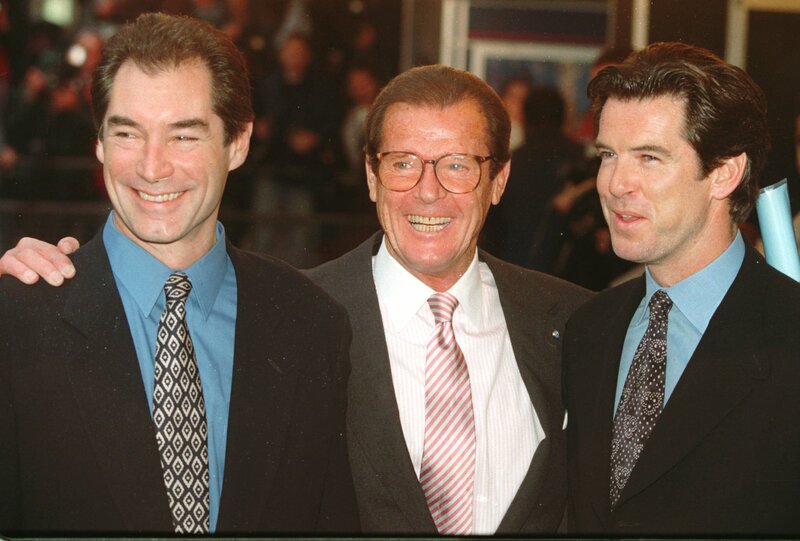 Timothy Dalton, Roger Moore and Pierce Brosnan, three of the actors who have played James Bond, gather at a London theater to celebrate the life of producer Albert R. "Cubby" Broccoli on Nov. 17, 1996. Broccoli was responsible for 17 Bond movies, from "Dr. No" to "Goldeneye." 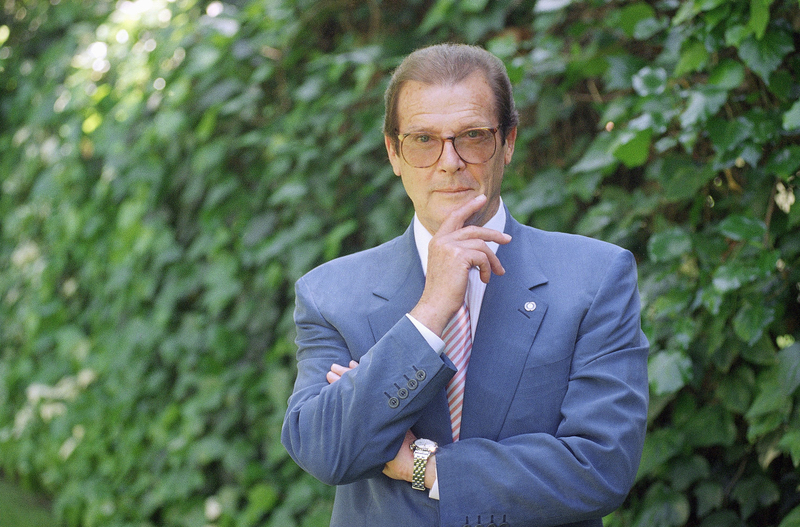 Roger Moore in Los Angeles in 1996.